Lakes are perfect subject for landscape photography. 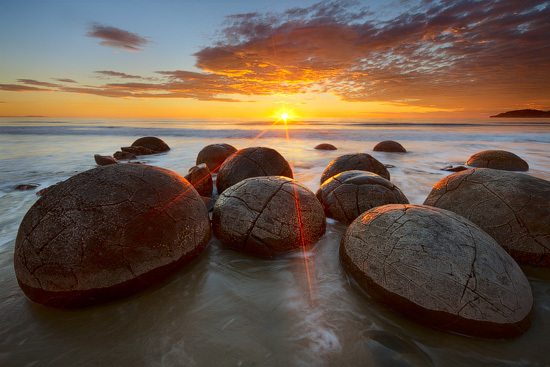 No matter what – clear skies or storm, drought or drenching rain, interesting foreground or nothing at all – you can always find your perfect shot. And even if you can’t, you can always leave your camera alone and simply relax and enjoy the view. 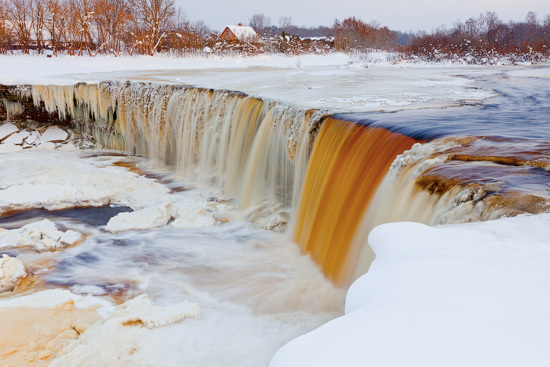 I’ve seen many waterfalls since I seriously got into photography – many of them were small and dry, others were completely covered with moss, some were among tallest in the world, but the truth is that I hadn’t seen frozen waterfall before visiting Jägala Falls in Estonia in winter last year. 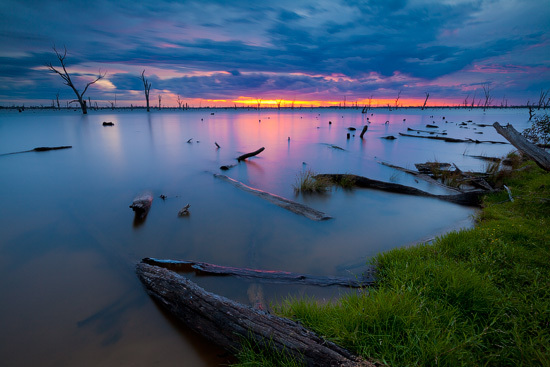 One of the six glacial lakes in Australia, Lake Cootapatamba certainly can’t take any prises for it size; however, it is officially holding a crown of the highest lake in Australia – 2042 meters above the sea level. 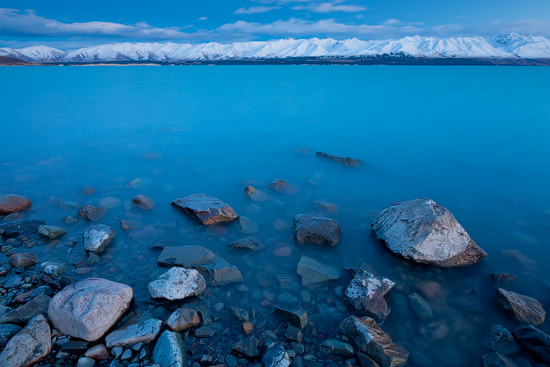 Shielded from the rough coastal climate by the mountains, Lake Tekapo enjoys what I call the loveliest weather in New Zealand. 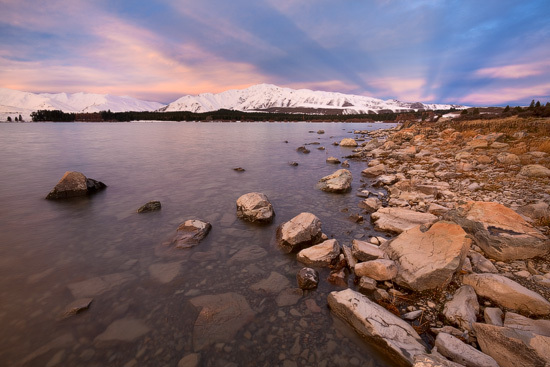 In fact, Lake Tekapo is among the six sunniest places in New Zealand, combine that with the mean annual wind speed of just 7km/h and you get that perfect weather formula. With every new journey, I understand more and more that, for me, the ultimate prize of any trip is that unique feeling which you experience when you discover something totally unexpected. 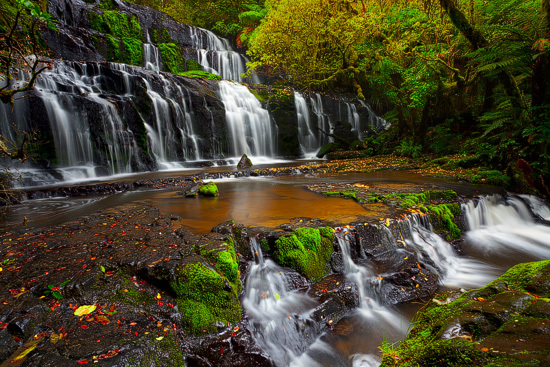 It can be a stunning view, a moment of a great light, new never tried before activity or just a spectacular place. 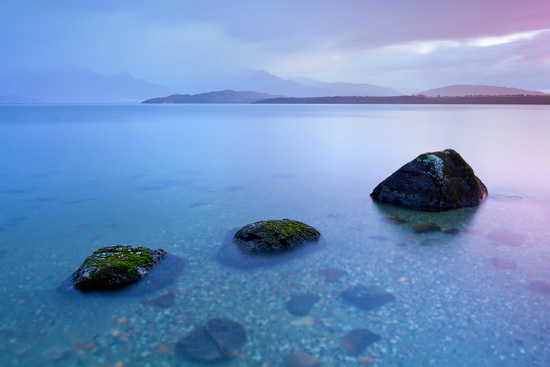 One of such places, which gave me that great experience, is Lake Manapouri. 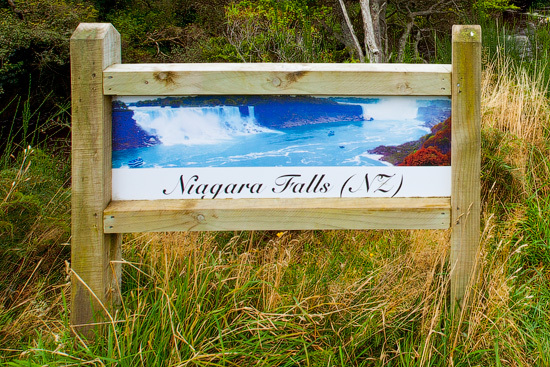 Every visitor of the one of the most famous and largest waterfalls of New Zealand can feel its power kilometers away – the deafening noise of the Niagara Falls spreads over many miles and in good weather can be heard on the coast. 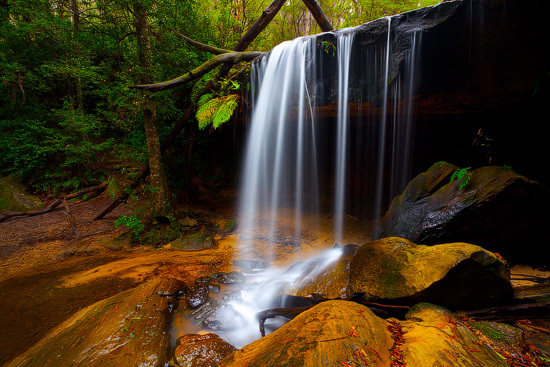 Oaklands Falls is one of those rare locations where you can still enjoy Blue Mountains and surrounding rainforest without being disturbed by tourists passing every now and then, and, in fact, it is very likely that you won’t meet there anyone at all.